Columbia, Missouri (February 2, 2019) - Head Coach Cuonzo Martin and Missouri Men’s Basketball start their partnership with Coaching for Literacy (CFL) for the first year to raise awareness about the issue of illiteracy in America and to provide support for young children struggling to read in Columbia. The Tigers will host Coaching for Literacy’s Fight for Literacy Games initiative on March 2nd, 2019 when the South Carolina Gamecocks visit Mizzou Arena. The SEC contest will tip-off at 2:30 CST with coverage on SEC Network. Fight for Literacy Games bring coaches, players, and fans together in a common cause: ensuring our children can read. To raise awareness about the issues connected to illiteracy, the Missouri coaching staff will wear Coaching for Literacy’s Green for Literacy awareness kit, showcasing a green tie provided by Peter Millar as well as a green lapel pin and wrist band. Per the National Assessment of Educational Progress (NAEP), 63% of 4th graders in Missouri are not proficient in reading. Missouri Men’s Basketball is doing its part to help change the stat and encouraging fans to get involved in the cause. Coaching for Literacy guarantees that 100% of funds raised will benefit children who take part in the literacy programming in Columbia. Fans are also encouraged to sign up to volunteer by visiting coachingforliteracy.kindful.com/register/volunteer. Since 2014, our partners have helped us conduct over 100 Fight for Literacy Games with more than 50 NCAA teams. Donors across the country have assisted us in funding 77 literacy projects which supported more than 10,000 kids and 500 volunteers in 23 communities nationwide. To get involved in the nationwide advocacy work of Coaching for Literacy please visit www.coachingforliteracy.org and follow Coaching for Literacy on Twitter @CoachingforLit. For more information on the Fight for Literacy Games initiative please visit www.fightforliteracygames.org and follow Fight for Literacy Games on Twitter @FightForLitGame. Boulder, Colorado (February 12, 2019) - Head Coach Tad Boyle and Colorado Men’s Basketball continue in their partnership with Coaching for Literacy (CFL) to raise awareness about the issue of illiteracy in America and to provide support for young children struggling to read in Boulder. The Buffaloes will host Coaching for Literacy’s Fight for Literacy Games initiative on March 9th when the USC Trojans visit the CU Events Center. The PAC 12 contest will tip-off at 3 P.M. MT with coverage on the PAC 12 Network. To raise awareness about the issues connected to illiteracy, the Colorado coaching staff will wear Coaching for Literacy’s Green for Literacy awareness kit, showcasing a green tie provided by Peter Millar as well as a green lapel pin and wrist band. Per the National Assessment of Educational Progress (NAEP), 60% of 4th graders in Colorado are not proficient in reading. Colorado Men’s Basketball is doing its part to help change the stat and encouraging fans to get involved in the cause. Coaching for Literacy benefits children who take part in the literacy program Read With The Buffs (Casey Elementary) in Boulder. Fans are encouraged to sign up to volunteer with Read With The Buffs (Casey Elementary) by visiting coachingforliteracy.kindful.com/register/volunteer. Coaching for Literacy is partnering with more than 50 NCAA programs in this season’s Fight for Literacy Games initiative. Palo Alto, California (February 5, 2019) - Head Coach Jerod Haase and Stanford Men’s Basketball continue in their partnership with Coaching for Literacy (CFL) to raise awareness about the issue of illiteracy in America and to provide support for young children struggling to read in Palo Alto. The Cardinal will host Coaching for Literacy’s Fight for Literacy Games initiative on March 3rd when the Washington Huskies visit Maples Pavilion. 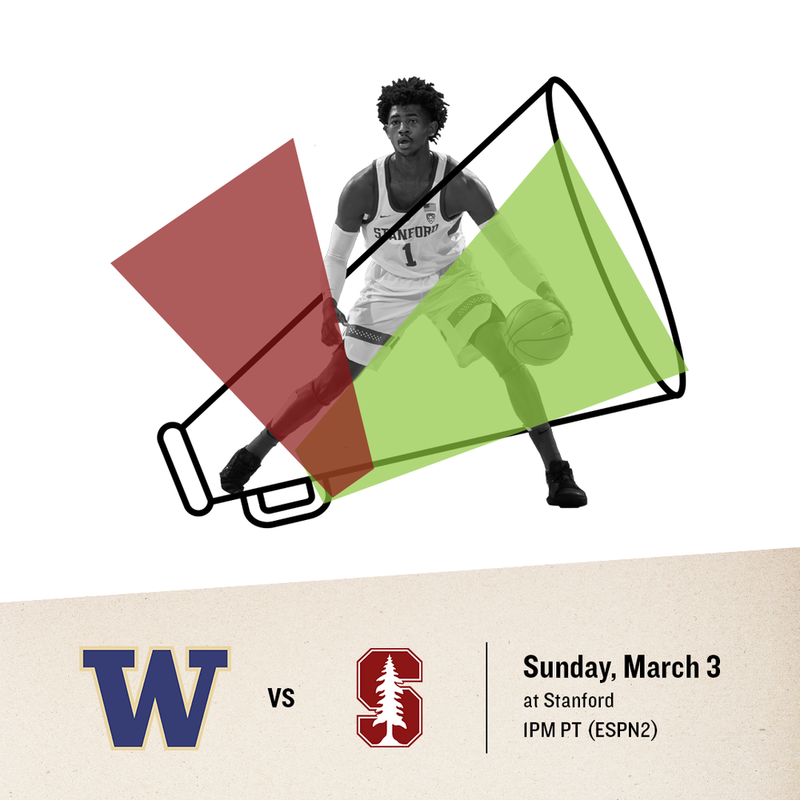 The PAC 12 contest will tip-off at 1 P.M. PT with coverage on ESPN 2. To raise awareness about the issues connected to illiteracy, the Stanford coaching staff will wear Coaching for Literacy’s Green for Literacy awareness kit, showcasing a green tie provided by Peter Millar as well as a green lapel pin and wrist band. Per the National Assessment of Educational Progress (NAEP), 69% of 4th graders in California are not proficient in reading. Stanford State Men’s Basketball is doing its part to help change the stat and encouraging fans to get involved in the cause. Coaching for Literacy guarantees that 100% of funds raised will benefit children who take part in the literacy programming of the Reading Partners Silicon Valley. Fans are also encouraged to sign up to volunteer with the Reading Partners Silicon Valley Fundamental Learning Center by visiting coachingforliteracy.kindful.com/register/volunteer. Charlottesville, Virginia (February 5, 2019) - Head Coach Tony Bennett and UVA Men’s Basketball continue in their partnership with Coaching for Literacy (CFL) to raise awareness about the issue of illiteracy in America and to provide support for young children struggling to read in Charlottesville. The Cavaliers will host Coaching for Literacy’s Fight for Literacy Games initiative on February 27th when the Georgia Tech Yellow Jackets visit John Paul Jones Center. The AAC contest will tip-off at 7 P.M. ET with coverage on ESPN2 and ESPNU. To raise awareness about the issues connected to illiteracy, the UVA coaching staff will wear Coaching for Literacy’s Green for Literacy awareness kit, showcasing a green tie provided by Peter Millar as well as a green lapel pin and wrist band. Per the National Assessment of Educational Progress (NAEP), 57% of 4th graders in Virginia are not proficient in reading. UVA Men’s Basketball is doing its part to help change the stat and encouraging fans to get involved in the cause. Coaching for Literacy’s Fight for Literacy Game benefits children who take part in the literacy program Book Buddies in Charlottesville. Fans are also encouraged to sign up to volunteer with Book Buddies by visiting coachingforliteracy.kindful.com/register/volunteer. Auburn, Alabama (February 5, 2019) - Head Coach Bruce Pearl and Auburn Men’s Basketball continue in their partnership with Coaching for Literacy (CFL) to raise awareness about the issue of illiteracy in America and to provide support for young children struggling to read in Auburn. 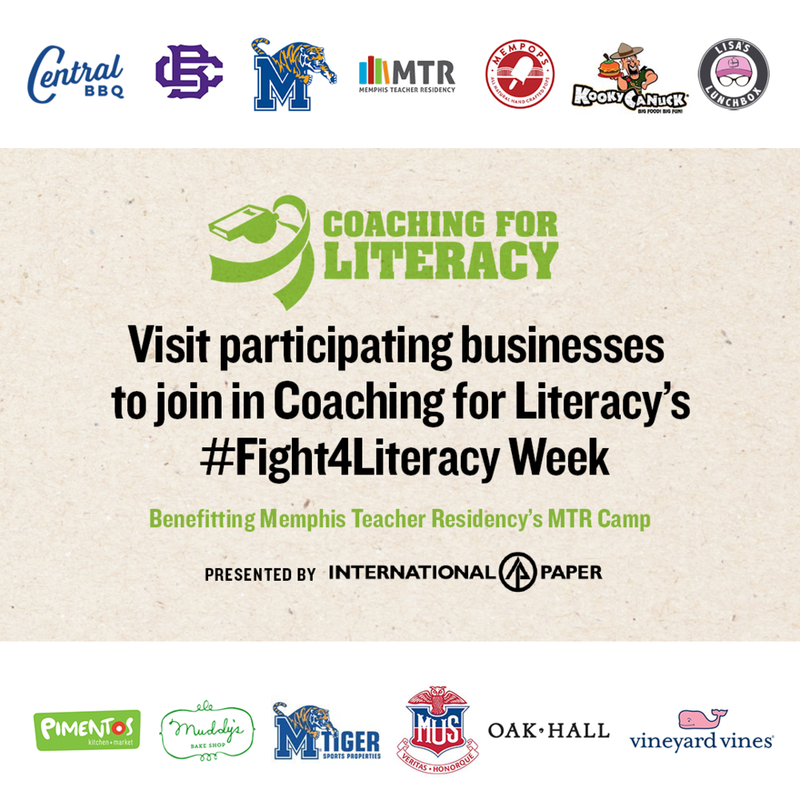 The Tigers will host Coaching for Literacy’s Fight for Literacy Games initiative on March 2nd when the Mississippi State Bulldogs visit Auburn Arena. The SEC contest will tip-off at 3 P.M. CST with coverage on ESPN, ESPN2, and ESPNU. To raise awareness about the issues connected to illiteracy, the Auburn coaching staff will wear Coaching for Literacy’s Green for Literacy awareness kit, showcasing a green tie provided by Peter Millar as well as a green lapel pin and wrist band. Per the National Assessment of Educational Progress (NAEP), 69% of 4th graders in Alabama are not proficient in reading. Auburn Men’s Basketball is doing its part to help change the stat and encouraging fans to get involved in the cause. Fans are also encouraged to sign up to volunteer with Summer Reading Program by visiting coachingforliteracy.kindful.com/register/volunteer. Atlanta, GA (February 5, 2019) - Georgia Tech Men’s Basketball and Head Coach Josh Pastner are set to host a Fight for Literacy Game sponsored by International Paper. Coaching for Literacy’s (CFL) Fight for Literacy Games bring coaches, players, and fans together in a common cause: ensuring America’s children can read. The Yellow Jackets will host their Fight for Literacy Game on March 3rd when Georgia Tech welcomes the Boston College Eagles to the McCamish pavilion. The game will tip-off at 6:00 P.M. ET with televised coverage scheduled for ESPNU. To raise awareness about the issues connected to illiteracy, the Georgia Tech coaching staff will wear Coaching for Literacy’s Green for Literacy awareness kit, showcasing a green tie provided by Peter Millar as well as a green lapel pin and wrist band. “Only 34% of 4th graders in Georgia are reading at the proficient level. International Paper's sponsorship of the Fight for Literacy Games initiative provides hope that we can change the statistic and create brighter futures for children through the power of literacy.” - Head Coach, Josh Pastner. According to the National Assessment of Educational Progress (NAEP), 65% of 4th graders in the state of Georgia are not reading at the proficient level. International Paper and Georgia Tech Men’s Basketball are working to change this statistic and invite Yellow Jacket fans to get involved in the local Fight for Literacy. To promote the importance of reading at grade-level by the end of 3rd grade International Paper will donate $3 for each use of the hashtag #IP4Literacy. For promotion guidelines and additional details, please visit www.coachingforliteracy.org/promotion-rules. 100% of all funds raised will remain in Atlanta and will enable positive impact at the Get Georgia Reading Campaign. To volunteer with participating literacy programs in Atlanta please register at coachingforliteracy.kindful.com/register/volunteer. Tuscaloosa, AL. (January 29, 2019) - Alabama Men’s Basketball and Head Coach Avery Johnson are set to host a Fight for Literacy Game sponsored by International Paper. The Crimson Tide will host their Fight for Literacy Game on February 23rd when Alabama welcomes the Vanderbilt Commodores to the Coleman Coliseum. The game will tip-off at 5:00 P.M. CT with televised coverage scheduled for ESPN / ESPN2 / ESPNU. To raise awareness about the issues connected to illiteracy, the Alabama coaching staff will wear Coaching for Literacy’s Green for Literacy awareness kit, showcasing a green tie provided by Peter Millar as well as a green lapel pin and wrist band. "Only 29% percent of 4th graders in Alabama are reading at the proficient level. Through International Paper's sponsorship of the Fight for Literacy Games, this initiative will create brighter futures for children through the power of literacy,” Alabama Crimson Tide Head Coach, Avery Johnson. According to the National Assessment of Educational Progress (NAEP), 69% of 4th graders in the Alabama are not reading at the proficient level. International Paper and Alabama Men’s Basketball are working to change this statistic and invite fans to get involved in the local Fight for Literacy. Fans can make a flat donation or donate for each assist the Tide records over a four game stretch from February 23rd - March 5th. To donate today visit: www.pledgeit.org/tideforliteracy. 100% of all funds raised will remain in Alabama and will enable positive impact at the following literacy programs: Alberta Head Start (Tuscaloosa), Brantley Elementary School (Selma), and F.S. Ervin Elementary School (Pine Hill). Los Angeles, California (January 29, 2019) - Interim Head Coach Murry Bartow and UCLA Men’s Basketball continue in their partnership with Coaching for Literacy (CFL) to raise awareness about the issue of illiteracy in America and to provide support for young children struggling to read in Los Angeles. The Bruins will host Coaching for Literacy’s Fight for Literacy Games initiative on 2.21 when the Oregon State Beavers visit Pauley Pavilion. The PAC 12 contest will tip-off at 8 PM PT with coverage on FS1. To raise awareness about the issues connected to illiteracy, the UCLA Bruins coaching staff will wear Coaching for Literacy’s Green for Literacy awareness kit, showcasing a green lapel pin and green wrist band. Per the National Assessment of Educational Progress (NAEP), 69% of 4th graders in California are not proficient in reading. UCLA Men’s Basketball is doing its part to help change the stat and encouraging fans to get involved in the cause. Coaching for Literacy guarantees that 100% of funds raised will benefit children who take part in the literacy programming of Reading is Fundamental of Southern California in Los Angeles. Fans are also encouraged to sign up to volunteer with Reading is Fundamental of Southern California by visiting coachingforliteracy.kindful.com/register/volunteer. San Jose, California (January 22, 2018), - Head Coach Jean Prioleau and San Jose State Men’s Basketball continue in their partnership with Coaching for Literacy (CFL) to raise awareness about the issue of illiteracy in America and to provide support for young children struggling to read in San Jose. 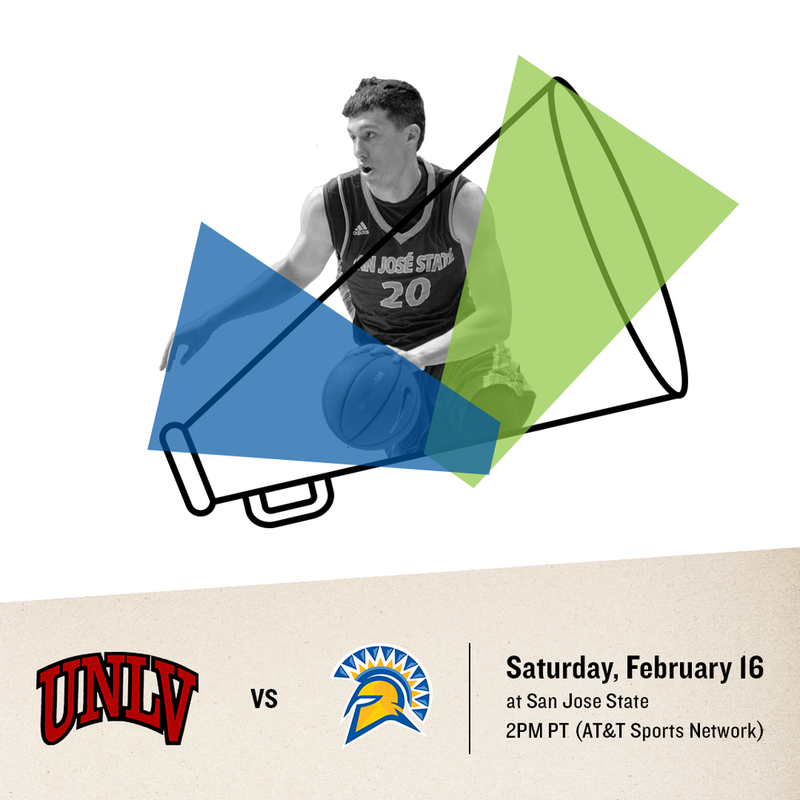 The Spartans will host Coaching for Literacy’s Fight for Literacy Games initiative on February 16th when the UNLV Runnin’ Rebels visit The Event Center at SJSU. The MWC contest will tip-off at 2 P.M. PT. To raise awareness about the issues connected to illiteracy, the San Jose State coaching staff will wear Coaching for Literacy’s Green for Literacy awareness kit, showcasing a green tie provided by Peter Millar as well as a green lapel pin and wrist band. Per the National Assessment of Educational Progress (NAEP), 69% of 4th graders in California are not proficient in reading. San Jose State Men’s Basketball is doing its part to help change the stat and encouraging fans to get involved in the cause. Coaching for Literacy guarantees that 100% of funds raised will benefit children who take part in the literacy programming of the Reading Partners San Jose in San Jose. Fans are also encouraged to sign up to volunteer with the Reading Partners San Jose by visiting coachingforliteracy.kindful.com/register/volunteer. Johnson City, Tennessee (February 14, 2019) - Head Coach Steve Forbes and Eastern Tennessee State University Men’s Basketball continue in their partnership with Coaching for Literacy (CFL) to raise awareness about the issue of illiteracy in America and to provide support for young children struggling to read in Johnson City. The Buccaneers will be host Coaching for Literacy’s Fight for Literacy Games initiative on February 14th when the Citadel Bulldogs visit ETSU Athletics Center. 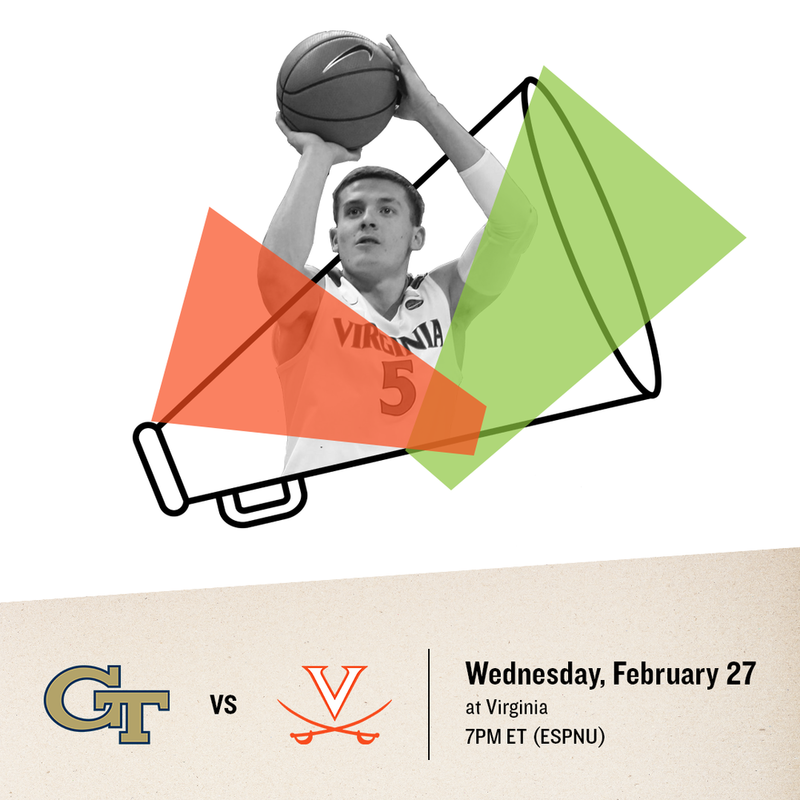 The Southern Conference contest will tip-off at 7 P.M. ET. To raise awareness about the issues connected to illiteracy, the ETSU coaching staff will wear Coaching for Literacy’s Green for Literacy awareness kit, showcasing a green tie provided by Peter Millar as well as a green lapel pin and wrist band. Per the National Assessment of Educational Progress (NAEP), 67% of 4th graders in Tennessee are not proficient in reading. ETSU Men’s Basketball is doing its part to help change the stat and encouraging fans to get involved in the cause. Memphis, TN (January 18, 2019) - Local businesses and restaurants join Penny Hardaway and the Memphis Tigers in Coaching for Literacy’s (CFL) Fight for Literacy Week presented by International Paper. Fight for Literacy Week begins January 21st and ends January 27th. Participating businesses will raise awareness about the issue of illiteracy and donate a portion of sales to Memphis Teacher Residency (MTR). The week culminates at CFL’s Fight for Literacy Game with the Memphis Tigers on January 27th at 3:00 P.M. CT.
Funds raised through Fight for Literacy Week will give local elementary school students crucial literacy training during the summer through Memphis Teacher Residency’s MTR Camp. Memphians can visit the following local restaurants and businesses from January 21-27 and make a difference in our community: Central BBQ, Kooky Canuck, Lisa’s Lunchbox, Mempops, Oak Hall, Pimentos, and Vineyard Vines. To learn more about where to go and when you can give the power of literacy to local kids at MTR Camp visit www.coachingforliteracy.org. “Only 33% of 4th graders in TN are reading at the proficient level. 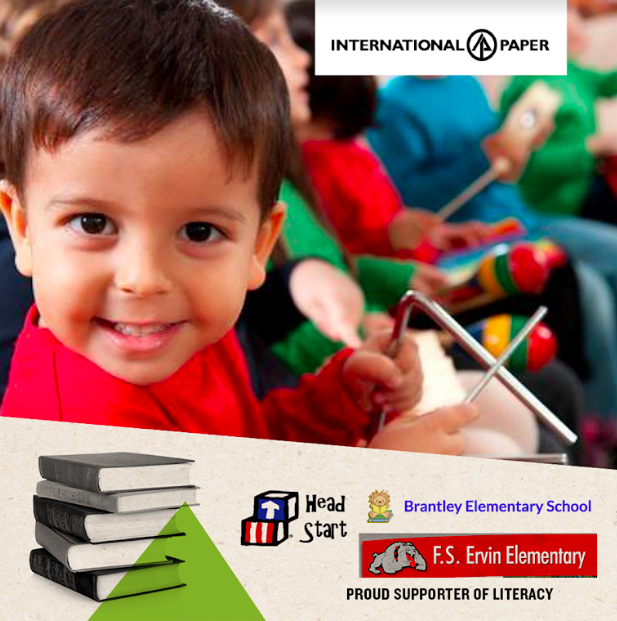 International Paper's sponsorship of the Fight for Literacy Games initiative provides hope that we can change the statistic and create brighter futures for children through the power of literacy,” Memphis Tigers Head Coach, Penny Hardaway. Oxford, Mississippi (January 15, 2019) - Head Coach Kermit Davis and Ole Miss Men’s Basketball continue in their partnership with Coaching for Literacy (CFL) to raise awareness about the issue of illiteracy in America and to provide support for young children struggling to read in Oxford. The Rebels will host Coaching for Literacy’s Fight for Literacy Games initiative on February 6th when the Texas A&M Aggies visit The Pavilion. The SEC contest will tip-off at 6 P.M. CT with coverage on the SEC Network. To raise awareness about the issues connected to illiteracy, the Ole Miss coaching staff will wear Coaching for Literacy’s Green for Literacy awareness kit, showcasing a green tie provided by Peter Millar as well as a green lapel pin and wrist band. Per the National Assessment of Educational Progress (NAEP), 73% of 4th graders in Mississippi are not proficient in reading. Ole Miss Men’s Basketball is doing its part to help change the stat and encouraging fans to get involved in the cause. Coaching for Literacy guarantees that 100% of funds raised will benefit children who take part in the literacy programming of the Leap Frog Oxford in Oxford. Fans are also encouraged to sign up to volunteer with the Leap Frog Oxford by visiting coachingforliteracy.kindful.com/register/volunteer. Columbus, Ohio (January 15,2019) - Head Coach Chris Holtmann and Ohio State Men’s Basketball partner with Coaching for Literacy (CFL) for the first time to raise awareness about the issue of illiteracy in America and to provide support for young children struggling to read in Columbus. The Buckeyes will host Coaching for Literacy’s Fight for Literacy Games initiative on February 7th when the Penn State Nittany Lions visit The Schottenstein Center. The Big Ten contest will tip-off at 7 P.M. CT with coverage on ESPN2. To raise awareness about the issues connected to illiteracy, the Ohio State coaching staff will wear Coaching for Literacy’s Green for Literacy awareness kit, showcasing a green tie provided by Peter Millar as well as a green lapel pin and wrist band. Per the National Assessment of Educational Progress (NAEP), 61% of 4th graders in Ohio are not proficient in reading. Ohio State Men’s Basketball is doing its part to help change the stat and encouraging fans to get involved in the cause. Fans can support young students in Columbus by making a flat donation or pledging a donation for each assist recorded by the Buckeyes from February 7th - February 17th. To make a pledge today visit: www.pledgeit.org/buckeyesforliteracy. Coaching for Literacy guarantees that 100% of funds raised will benefit children who take part in the literacy programming of the Second and Seven Foundation in Columbus. Fans are also encouraged to sign up to volunteer with the Second and Seven Foundation by visiting www.coachingforliteracy.kindful.com/register/volunteer. Las Vegas, Nevada (Feb. 7, 2019) - Head Coach Marvin Menzies and UNLV Men’s Basketball continue in their partnership with Coaching for Literacy (CFL) to raise awareness about the issue of illiteracy in America and to provide support for young children struggling to read in Las Vegas. The Runnin’ Rebels host Coaching for Literacy’s Fight for Literacy Games initiative on February 12 when the Air Force Falcons plays UNLV at Thomas and Mack Center. The Mountain West Conference contest tips off at 7:30 P.M. PT with coverage on CBSSN. To raise awareness about the issues connected to illiteracy, the UNLV coaching staff will wear Coaching for Literacy’s Green for Literacy awareness kit, which includes a green tie provided by Peter Millar as well as a green lapel pin and wrist band. Per the National Assessment of Educational Progress (NAEP), 69% of 4th graders in Nevada are not proficient in reading. UNLV Men’s Basketball is doing its part to help change the statistic by encouraging fans to get involved in the cause. Coaching for Literacy guarantees that 100% of funds raised will benefit children who take part in the literacy programming of the Mayor's Fund for Las Vegas LIFE. Ames, IA (January 15, 2019) - Iowa State Men’s Basketball and Head Coach Steve Prohm are set to host a Fight for Literacy Game sponsored by International Paper. The Cyclones will host their Fight for Literacy Game on February 9th when Iowa State welcomes the TCU Horned Frogs to the Hilton Coliseum. The game will tip-off at 1:00 P.M. CST with televised coverage scheduled for ESPN / ESPN2 / ESPNU. To raise awareness about the issues connected to illiteracy, both the Iowa State and TCU coaching staffs will wear Coaching for Literacy’s Green for Literacy awareness kit, showcasing a green tie provided by Peter Millar as well as a green lapel pin and wrist band. According to the National Assessment of Educational Progress (NAEP), 64% of 4th graders in the state of Iowa are not reading at the proficient level. 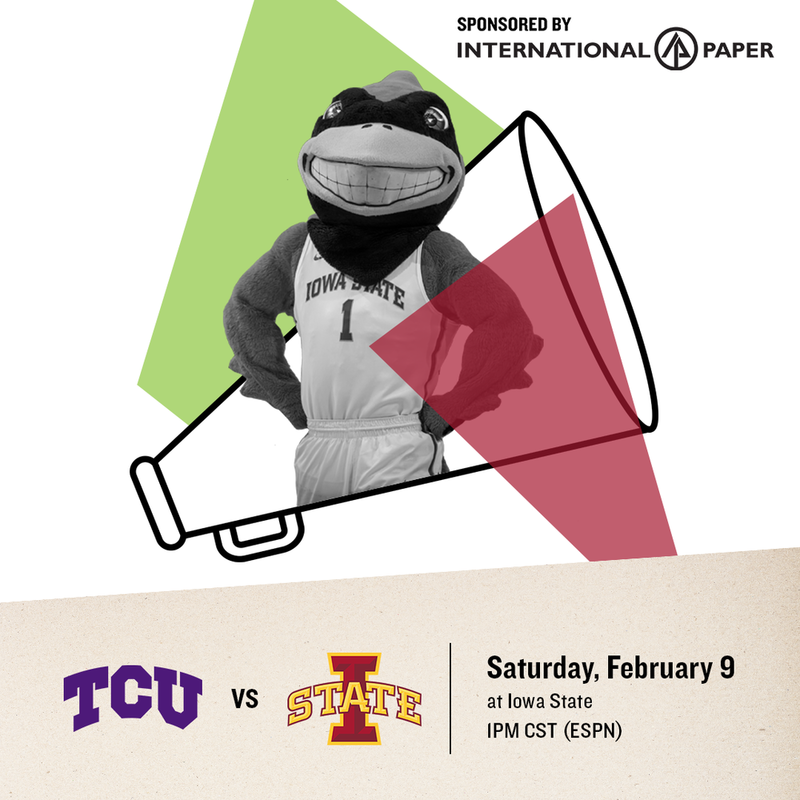 International Paper and Iowa State Men’s Basketball are working to change this statistic and invite fans to get involved in the local Fight for Literacy. Cyclones fans can make a flat donation or donate for each assist Iowa State records over a four game stretch from February 9th to February 23. To make a pledge today visit: www.pledgeit.org/cyclonesforliteracy. 100% of all funds raised will remain in Iowa and will enable positive impact at local literacy partners: Raising Readers in Story County (Ames, Iowa) and Garfield Elementary School (Cedar Rapids, Iowa). “The mission of Raising Readers in Story County is to improve language and literacy development in children from birth to age eight and nurture healthy parent-child relationships. We are excited for the opportunity to continue our mission by partnering with Coaching For Literacy for the ISU Fight for Literacy Game.” Lisa Reeves, Interim Executive Director. To volunteer with participating literacy programs in Iowa please register at coachingforliteracy.kindful.com/register/volunteer. Reno, Nevada (January 15, 2019) - Head Coach Eric Musselman and Nevada Men’s Basketball will be joining Coaching for Literacy (CFL) in their inaugural partnership to raise awareness about the issue of illiteracy in America and to provide support for young children struggling to read in Reno. The Wolf Pack will host Coaching for Literacy’s Fight for Literacy Games initiative on February 2nd when the Boise State Broncos visit Lawlor Events Center. The MW contest will tip-off at 3 PM PST with coverage on CBSSN. To raise awareness about the issues connected to illiteracy, the Nevada coaching staff will wear CFL polos, green lapel pins, and wristbands. Per the National Assessment of Educational Progress (NAEP), 69% of 4th graders in Nevada are not proficient in reading. Nevada Men’s Basketball is doing its part to help change the stat and encouraging fans to get involved in the cause. Coaching for Literacy guarantees that 100% of funds raised will benefit children who take part in local literacy programs in Reno. Fans are also encouraged to sign up to volunteer in Reno by visiting coachingforliteracy.kindful.com/register/volunteer. Boston, Massachusetts (January 15, 2019) - Head Coach Jim Christian and Boston College Men’s Basketball continue in their partnership with Coaching for Literacy (CFL) to raise awareness about the issue of illiteracy in America and to provide support for young children struggling to read in Boston. The Eagles will host Coaching for Literacy’s Fight for Literacy Games initiative on February 12th when the Pittsburgh Panthers visit Conte Forum. The AAC contest will tip-off at 7 P.M. ET with coverage on ESPNU. To raise awareness about the issues connected to illiteracy, the Boston College coaching staff will wear Coaching for Literacy’s Green for Literacy awareness kit, showcasing a green tie provided by Peter Millar as well as a green lapel pin and wrist band. Per the National Assessment of Educational Progress (NAEP), 49% of 4th graders in Massachusetts are not proficient in reading. Wichita State Men’s Basketball is doing its part to help change the stat and encouraging fans to get involved in the cause. Coaching for Literacy guarantees that 100% of funds raised will benefit children who take part in a local literacy program in Boston. Fans are also encouraged to sign up to volunteer with a local literacy program by visiting coachingforliteracy.kindful.com/register/volunteer. Wichita, Kansas (January 8, 2019) - Head Coach Gregg Marshall and Wichita State Men’s Basketball continue in their partnership with Coaching for Literacy (CFL) to raise awareness about the issue of illiteracy in America and to provide support for young children struggling to read in Wichita. 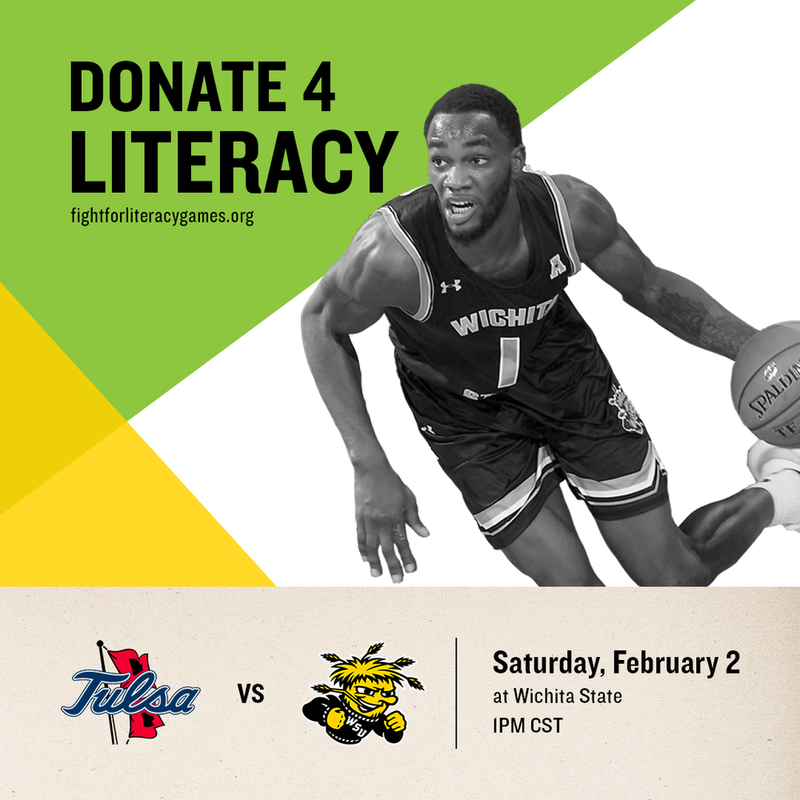 The Shockers will host Coaching for Literacy’s Fight for Literacy Games initiative on February 2nd when the Tulsa Golden Hurricanes visit Charles Koch Arena. The AAC contest will tip-off at 1 PM CST with coverage on ESPN2 and ESPNU. To raise awareness about the issues connected to illiteracy, the Wichita State coaching staff will wear Coaching for Literacy’s Green for Literacy awareness kit, showcasing a green tie provided by Peter Millar as well as a green lapel pin and wrist band. Per the National Assessment of Educational Progress (NAEP), 63% of 4th graders in Kansas are not proficient in reading. Wichita State Men’s Basketball is doing its part to help change the stat and encouraging fans to get involved in the cause. Coaching for Literacy guarantees that 100% of funds raised will benefit children who take part in the literacy programming of the Fundamental Learning Center in Wichita. Fans are also encouraged to sign up to volunteer with the Fundamental Learning Center by visiting coachingforliteracy.kindful.com/register/volunteer. West Haven, Connecticut (January 8, 2019) - Head Coach Ted Hotaling and New Haven Men’s Basketball continue in their partnership with Coaching for Literacy (CFL) to raise awareness about the issue of illiteracy in America and to provide support for young children struggling to read in West Haven. The Chargers will host Coaching for Literacy’s Fight for Literacy Games initiative on February 2nd when the Southern New Hampshire Penmen visit Charger Gymnasium. The NE10 contest will tip-off at 3:30 P.M. ET. To raise awareness about the issues connected to illiteracy, the New Haven coaching staff will wear Coaching for Literacy’s Green for Literacy awareness kit, showcasing a green tie provided by Peter Millar as well as a green lapel pin and wrist band. Per the National Assessment of Educational Progress (NAEP), 57% of 4th graders in Connecticut are not proficient in reading. New Haven Men’s Basketball is doing its part to help change the stat and encouraging fans to get involved in the cause. Fans are also encouraged to sign up to volunteer with Read to Grow by visiting coachingforliteracy.kindful.com/register/volunteer. Columbia, SC (January 8, 2019) - South Carolina Men’s Basketball and Head Coach Frank Martin are set to host a Fight for Literacy Game sponsored by International Paper. The Gamecocks will host their Fight for Literacy Game on January 29th when South Carolina welcomes the Tennessee Volunteers to the Colonial Life Arena. The SEC conference game will tip-off at 6:30 P.M. ET with televised coverage scheduled for the SEC Network. To raise awareness about the issues connected to illiteracy, the South Carolina coaching staff will wear Coaching for Literacy’s Green for Literacy awareness kit, showcasing a green tie provided by Peter Millar as well as a green lapel pin and wrist band. According to the National Assessment of Educational Progress (NAEP), 71% of 4th graders in the state of South Carolina are not reading at the proficient level. International Paper and South Carolina Men’s Basketball are working to change this statistic and invite fans to get involved in the local Fight for Literacy. 100% of all funds raised will remain in South Carolina and will enable positive impact at local literacy partner Richland One (Columbia, SC) and Webber Elementary School (Eastover, SC). To volunteer with participating literacy programs in South Carolina please register at coachingforliteracy.kindful.com/register/volunteer.